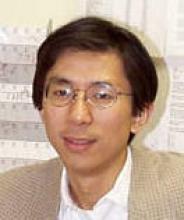 Department of Otolaryngology > Faculty > Fan-Gang Zeng, Ph.D.
Fan-Gang Zeng, Ph. D. is a leading researcher in auditory science and technology, unraveling brain mechanisms in loudness coding and speech recognition while translating research into two commercial products in deafness and tinnitus treatment (Nurotron and SoundCure). He has published more than 100 peer-reviewed journal articles, with 5612 citations and an h-index of 38 (Google Scholar October 2012). He is a Professor of Anatomy and Neurobiology, Biomedical Engineering, Cognitive Sciences, and Otolaryngology and Director of Center for Hearing Research at the University of California Irvine. He is a Fellow of The American Institute for Medical and Biological Engineering, Collegium Oto-Rhino-Larygologicum, IEEE, and the Acoustical Society of America.